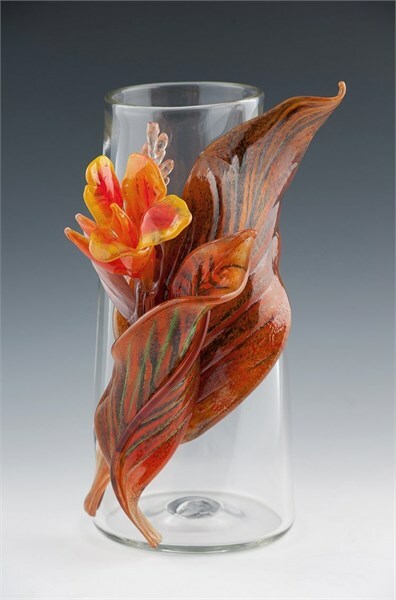 David and Jennifer recently expanded their series of botanical and aquatic themed sculptures and exhibited works in a solo show, “Nature Studies in Glass”. at a the Newport Art Museum in Rhode Island. Works from that show are currently found in galleries up and down the east coast. 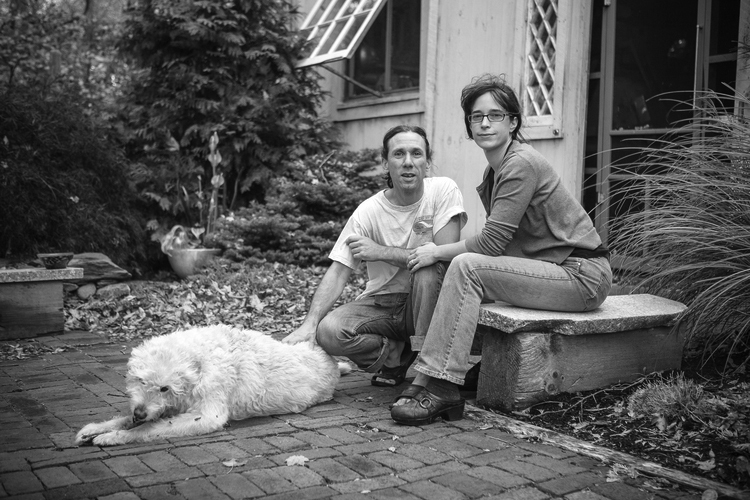 In 1998 Jennifer and David met while each were working for different glass artists. Soon thereafter the two married and started the process of building their own studio next to their home in Jamestown, Rhode Island. 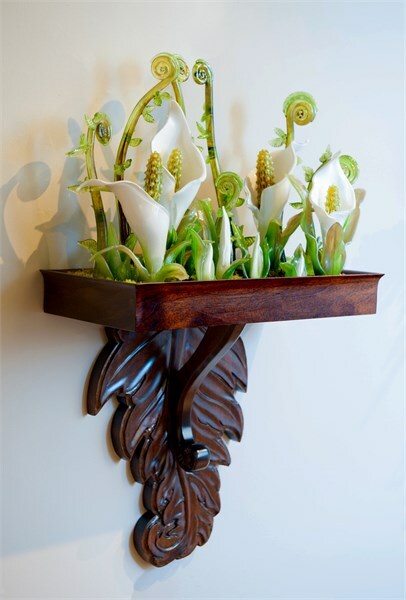 Since then they have been creating finely crafted functional and sculptural work which can be found all over the world. The couple is known especially for their skilled blowing techniques and their strong sense of design and color. David M. Clancy was born on Long Island, New York and raised in Portsmouth, Rhode Island. From an early age David exhibited exceptional talent for drawing that evetnually brought him to the Swain College of Art and Design in Massachusetts to study printmaking. While there he was introduced to an alternative way to produce an image–sandblasting-on flat glass. It wasn’t long after that a love of glass took root and David left Swain to receive intensive training in glassblowing as an apprentice for 16 years.Jennifer R. Clancy was born in Attleborro, Massachusetts. Creative from the start she was bound to have a profession in the arts. 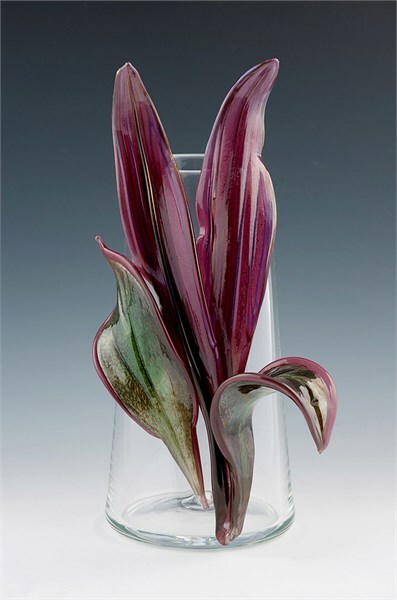 She attended The Cleveland Institute of Art first for Photography and then for Glass. Both practices focus on process and a relationship to light but the glass studio was quickly what Jennifer would come to know as home. Although tutored mostly in glass casting techniques, soon after graduation Jennifer found herself working in glassblowing studios in the US and overseas, broadening her base of knowledge in glass.